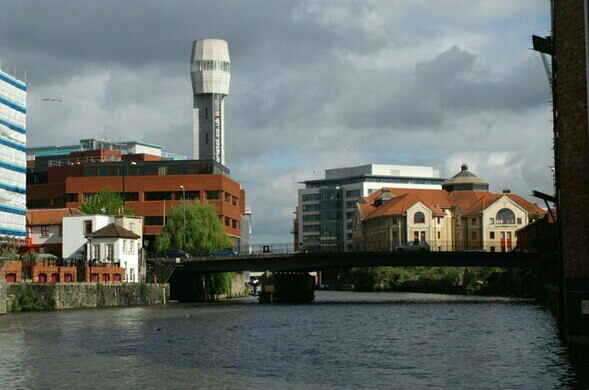 The shot tower on Cheese Lane in Bristol is unique among its ilk because of its distinctive shape, but also because it’s relatively new. 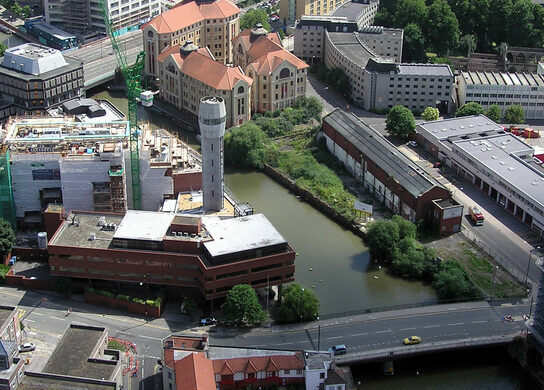 It was built in 1969 to replace the world’s first shot tower and today is one of only three left standing in England. Shot towers were the most common and efficient mode of producing shot balls in the 19th and most of the 20th century. From the very top of the tower workers would pour molten lead through a sieve. While free falling through the empty tower, the lead would cool and form into perfectly round balls. These would land in a basin of water to be cooled further. This method was mostly phased out in the 1960s as it was replaced by less space-consumptive techniques, but the Cheese Lane Shot Tower remained in use until the 1990s. Today, the tower belongs to the offices of Vertigo, which lets out the top floor for board room meetings.